The Floss and Mischief kits are brilliant for first time cross-stitchers as they have everything except scissors included. 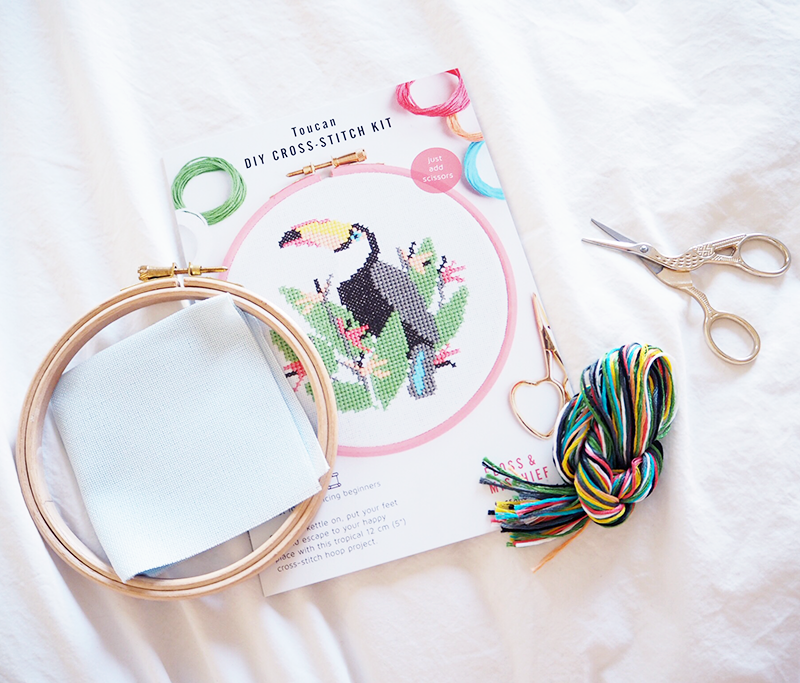 You get the hoop, lots of thread, two needles, the cross-stitch pattern and some very helpful tips for newbies all for £15 which feels like really good value. Of course once you're done, you also get a very beautiful cross-stitch which you can either display at your home or give as a thoughtful gift to a friend. 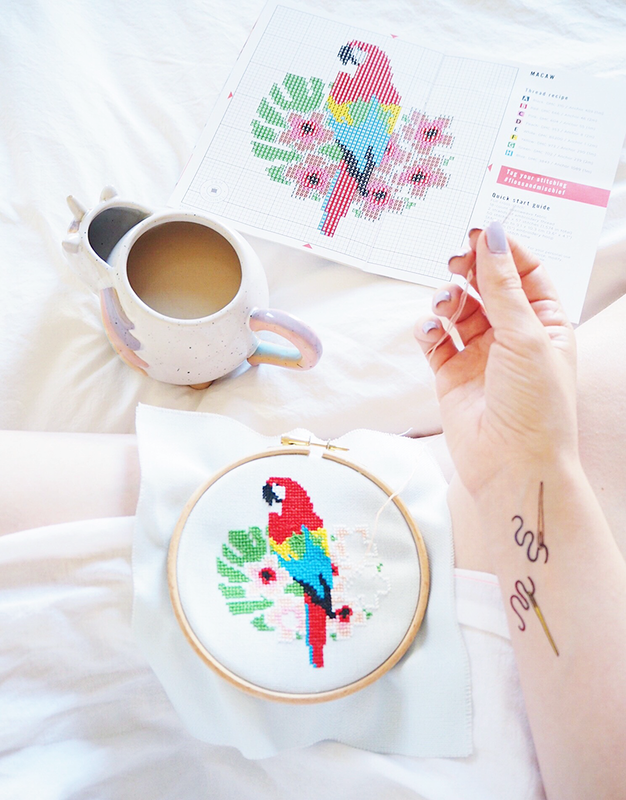 You can tell how addicted I am to cross-stitch already, as I've now purchased their toucan pattern to try out once I've finished my macaw. Honestly I never really expected to love cross-stitch this much, so it's a testament to trying new things because you never really know how much you might like them. P.S. If you're looking for some embroidery inspiration, take a look at my Pinterest board! this is so cute! 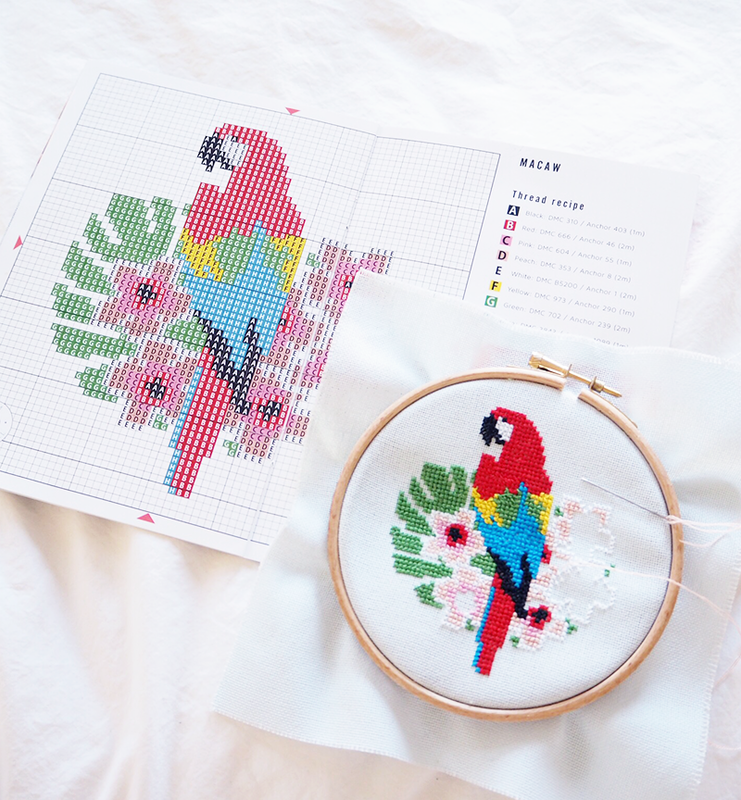 I used to cross stitch when I was younger but I never made anything so pretty like this! This is amazing article. Now, After reading this artcile I really like your writing skills. wonderful activity with cross-stitch, I have made for some big size. So glad you've found something you love. Such beautiful patterns.